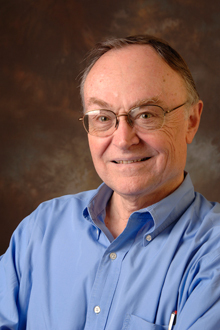 Peter Dowell, an emeritus English professor who served Emory for over 40 years as a gifted educator and administrative leader in Emory College of Arts and Sciences (ECAS), died March 16, in Dallas, Texas. He was 78. Born in New York City, Dowell graduated from Princeton University in 1958 with a BA in English before pursuing both an MA and a PhD in American Studies at the University of Minnesota. Dowell joined Emory in 1963 as a professor in English and American Studies. Throughout his career at the university, he would also play important leadership roles in both the English Department and Emory’s Graduate Institute of the Liberal Arts (ILA), according to Michael Elliott, Emory College executive associate dean and professor of English. Through the ILA, Dowell would gain recognition for co-teaching "Baseball in American Culture," a series of survey classes and seminars that were popular with graduates, undergraduates and Emory staff alike. He also served as coordinator of the Emory Scholars Program and would prove instrumental in helping establish what would become the African American Studies Department at Emory, as well as assisting in the creation of the Martin Luther King Jr. Scholars Program. From 1988 through 2003, Dowell took on an administrative role within Emory College, serving first as associate dean and then as senior associate dean for undergraduate education. "During that time, he was a generous, thoughtful leader who approached everyone — faculty, students, staff — with empathy, respect and good humor," Elliott recalls. "He was an exemplary colleague to us all." But no matter his role, Dowell brought with him a heartfelt commitment to the Emory student experience. That dedication was honored in 1998, when he received the George P. Cuttino Award for Excellence in Mentoring, and again in 2010, when he received the Emory Distinguished Faculty Emeritus Award. "Peter Dowell was one of the most generous spirits I have ever met and deeply devoted to Emory students — in thought, word and deed," says Rosemary Magee, director of Emory’s Manuscript, Archives and Rare Book Library, who worked closely with Dowell in the Emory College Dean’s Office. "He was also an inspiring colleague who brought great joy and good humor to our shared work spanning two decades in Emory College," she says. "I think of him every day when I walk across the Quadrangle he loved so dearly. After Dowell stepped down from his administrative position within Emory College, he elected to return to the classroom, where he spent a few more years teaching English before retiring in 2009, when his baseball-themed retirement gathering drew more than 100 people to the Emory Conference Center. Dana White, MARBL senior faculty curator, co-taught "Baseball in American Culture" with Dowell for over 11 years. It was no secret that Dowell was passionate about baseball and a die-hard Atlanta Braves fan, sticking with the team during some of its leanest seasons, "even when they were awful," notes White. "Any time I think of baseball, I think of Peter Dowell — he really loved the game," says White. "As a child, his father had taken him to see the Washington Senators play, and that interest continued as a way of combining recreation and enjoying time spent with his family." "I used to tease his son Jonathon that he’d suffered a traumatic childhood watching the Braves play," White chuckles. "In fact, the only time that I could ever get Peter’s goat was teasing him about the Braves. He was more than loyal to them." White says he will remember Dowell for embodying the fundamental values of a university — leadership, scholarship and service. But it was the quiet, unwavering support Dowell gave students and colleagues that stands out most sharply, he adds. "For me, the key word for Peter was respect," White says. "If you walked across campus with Peter, the odds were that students were going to come up and talk with him," he recalls. "He had a very warm, very close connection with students — they respected Peter very much." Dowell is survived by his wife Valerie, of Atlanta; his son Jonathan, his wife Wen and their three daughters, Eleanor, Mabel and Rose, of Irving, Texas; and his brother and sister, John and Wendy, and their families. In lieu of flowers, Dowell requested that memorial donations be sent to Special Olympics Georgia or St. Bartholomew’s Episcopal Church. A public memorial service will be held in Atlanta on Saturday, April 11, at 11 a.m. at St. Bartholomew’s, 1790 Lavista Road.